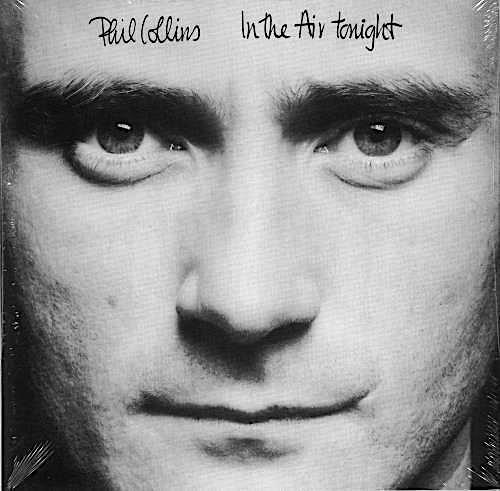 Phillip David Charles Collins was born on January 30th, 1951 and as it happens I like to think I actually know him reasonably well. We played on an Argent album together back in the seventies, and believe it or not he invited me to join Genesis when Peter Gabriel left. But, to get to the point…. Phil was born and brought up in Chiswick, West London and played drums from the age of five after he was given a toy drum set for Christmas. Not long after, his uncle made him a set which he used regularly, and as time passed his parents, Winifred (June) and Greville bought him proper drum sets. 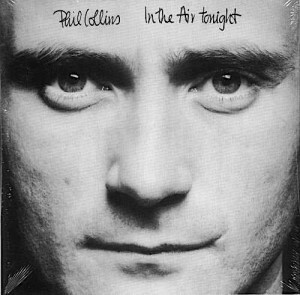 He practiced by playing along with music on the television and radio and according to Barbara Speake, founder of the stage school Collins later attended, “Phil was always special”. At the aged of five he entered a talent contest at a Holiday Camp singing “The Ballad of Davy Crockett” and the story goes that he stopped the orchestra halfway through to tell them they were in the wrong key! His mother was a talent-agent and attached to the stage school I mentioned earlier so perhaps it was inevitable Phil would fetch up there too. The school in question was ‘The Barbara Speake Stage School’ which was the training-ground for Jack Wilde, Naomi Campbell and Keith Chegwin amongst many others. This may well be the period when he acquired the nickname: ‘Little Elvis’. Phil was something of a prodigy and from this advantageous position secured various roles as a child actor. His professional acting training began at age 14, at the Speake School, which was a non-selective independent school and based in East Acton, which is a London suburb a couple of miles from Chiswick. His first ‘proper’ role was as ‘The Artful Dodger’ in a stage production of Lionel Bart’s “Oliver” and his next was as an extra in The Beatles’ “It’s Been A Hard Day’s Night”. After that he was in “Calamity The Cow” and “Chitty, Chitty, Bang, Bang”. Before auditioning for the lead role in a production of “Romeo and Juliet” but didn’t get the part. That was the end of his acting career until he appeared in ‘Buster’, the story of great train robber Buster Edwards, with Julie Waters in 1988. While attending Chiswick County School for Boys, Collins formed a band called ‘The Real Thing’, and later joined ‘The Freehold’, with whom he wrote his first song, “Lying, Crying, Dying”. In tandem with his acting he studied the basic rudiments of drumming as a teenager, first with a chap called Lloyd Ryan and later with Frank King, who fortuitously happened to be left-handed too. 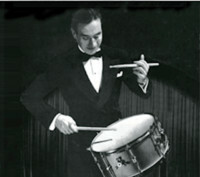 Collins recalled that rudiments were very helpful to him and that this was because they were used all the time. In any kind of funk or jazz drumming, the rudiments were always there. In the mid-seventies Genesis advertised for a drummer and Phil turned up for the audition which took place at Peter Gabriel’s parent’s house. 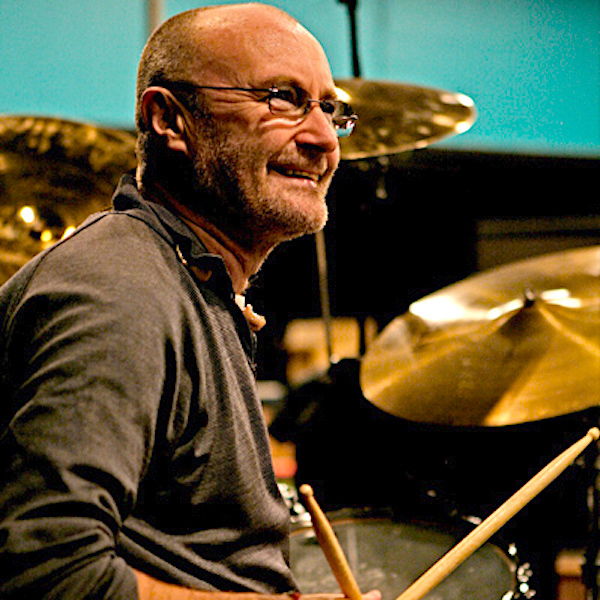 He passed and subsequently joined Genesis in August 1970 as their drummer. Of course he became their lead singer in 1975 following the departure of Peter Gabriel. 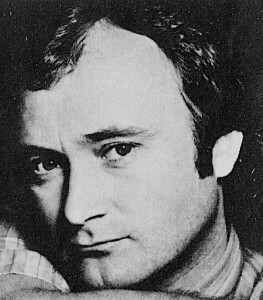 Phil Collins’ discography is extensive and includes eight studio albums that together have sold 33.5 million certified units in the US and an estimated 150 million worldwide. This makes him one of the world’s best selling artists along with Paul McCartney and Michael Jackson, and he’s sold over 100 million records worldwide as solo artists as well as separately as principal members of a band. 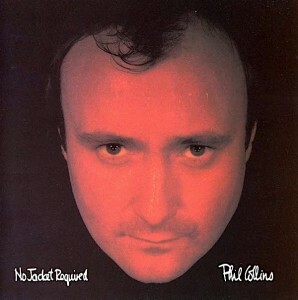 The last time I looked Phil Collins was the second richest drummer in the world, only kept away from the top spot by Ringo. But there’s more. In 1999, he received a star on The Hollywood Hall of Fame and was welcomed into the Songwriters Hall of Fame in 2003, The Rock and Roll Hall of Fame with Genesis in 2010, the Modern Drummer Hall of Fame in 2012, and the Classic Drummer Hall of Fame a year later. Of course he was into The Beatles and Ringo had a big influence on him, although he was also into a much lesser-known London band called The Action and evidently copied their drummer, Roger Powell, whose work introduced him to Motown and Stax. 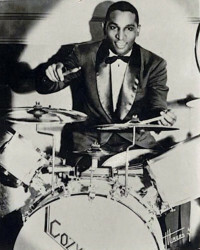 Collins was also influenced by Buddy Rich whose opinion on the importance of the hi hat persuaded him to stop using two bass drums and start using the hi-hat. Going back to the mid-1970’s, Phil’s first Genesis album was Nursery Crime which was recorded and released in 1971. In August 1975, following the Lamb Lies down on Broadway tour Peter Gabriel left the band, which immediately placed an advert for a replacement in Melody Maker and we’re told they received something like 400 replies. 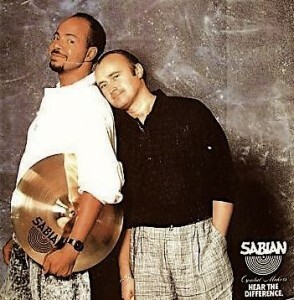 After a protracted auditioning process, when Phill sang backup vocals for applicants it was decided he should be the lead singer in time for the album “A Trick Of The Tail”.The album was a commercial and critical success, reaching number 3 in the UK charts and 31 in the U.S; Rolling Stone magazine wrote that Genesis had managed to turn the possible catastrophe of Gabriel’s departure into their first broad-based American success. 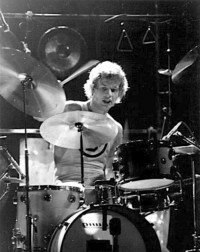 For the album’s 1976 tour, Bill Bruford from King Crimson and Yes came in to play drums while Phill sang and played percussion. Bruford was eventually replaced by Chester Thompson who became a mainstay of Genesis’ live lineup, as well as Collins’s solo backing band. Also in 1976 he got together to form jazz fusion group ‘Brand X’ and drifted in and out of it when Genesis permitted. In 1977, Collins, Banks, and Rutherford decided to continue Genesis as a trio. It’s suggested that, as the decade closed, Genesis began to “shift from being a progressive rock band to a more radio-friendly pop-rock sound”. Then there were three. He cited his divorce as the main influence on his lyrics and themes, and said: “I had a wife, two children, two dogs, and the next day I didn’t have anything. So a lot of these songs were written because I was going through these emotional changes. 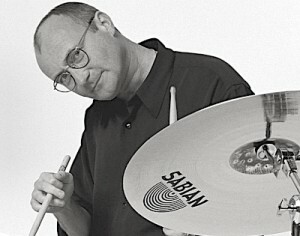 Collins produced the album in collaboration with Hugh Padgham with whom he had worked on Peter Gabriel’s eponymous album in 1980. As far as equipment is concerned Phil uses Gretsch drums although in the past he was sponsored by both Pearl and Premier. As far as cymbals are concerned he uses Sabian along with Promark sticks and Remo heads. He was into Simmons drums notably the SDSV and of course you could often hear the sound of a Roland TR808, CR78 or a Linndrum ticking away on his records..
Phil Collins has a great many high profile admirers amongst the drumming fraternity. Foo Fighters drummer Taylor Hawkins describes Collins as one of his drumming heroes. He said: “Collins is an incredible drummer. Anyone who wants to be good on the drums should check him out – the man is a master. In a 2001 edition of Modern Drummer Mike Portnoy named Collins in an interview when asked about drummers he was influenced by and had respect for. 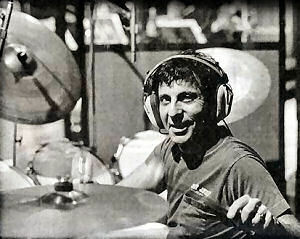 In another conversation in 2014, Portnoy applauded his “amazing progressive drumming” back in the early and mid-1970s. 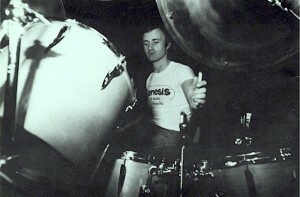 Neil Peart talked glowingly of Phill and praised his “beautiful drumming” and “lovely sound” on the 1973 Genesis album “Selling England By The Pound”. Calling it “an enduring masterpiece of drumming”. The list of admirers is exceedingly long. 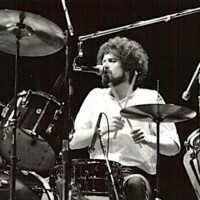 Marco Minnemann described Collins as “brilliant” for the way “he composes his parts, and the sounds he gets”. He said, “Phil is almost like John Bonham to me. I hear his personality, his perspective.” He singled out the drumming on “In The Air Tonight” as an example of “ten notes that everybody knows” and concluded “Phil is an insanely talented drummer”. As far as equipment is concerned I read somewhere years ago that Phil started out with a Gigster set which may not be the truth. But there is a distinct possibility like many Brits he began at the cheap and cheerful end. But, we have evidence that on his way to the Gretsch he uses these days, he had a Premier Resonator and various Pearl sets. More often than not they were concert tom sets and after his dalliance with Premier, it’s difficult to find a photo of him with regular drums. He mixed and matched Premier toms with Gretsch bass drums and used several other manufacturers snare drums with all of his kits, though mainly Noble and Cooley. These were various Ludwigs, a Fibes (like Buddy Rich’s) and of course whatever Pearl he fancied. 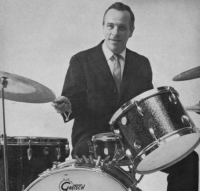 BTW the right-handed gorilla in the Cadbury’s chocolate advert miming to “In The Air Tonight” uses a Slingerland set. Phil has used Zildjian, Paiste and Sabian cymbals, and he allegedly uses a mixture of the different makes. It appears Phil has had some health problems over the years but as far as the internet can tell me he seems to be doing alright at the moment.